Recently B. Corson has donated this cartridge spoon to the Spoonplanet museum. This 7" spoon is made from a gun cartridge/bullet and has had a copper spoon attached to the bullet in a 'v' type solder joint. There is no engraving to indicate the reason for this product and the spoon portion looks like it was probably handmade. solder joint itself was obviously not done by a professional . 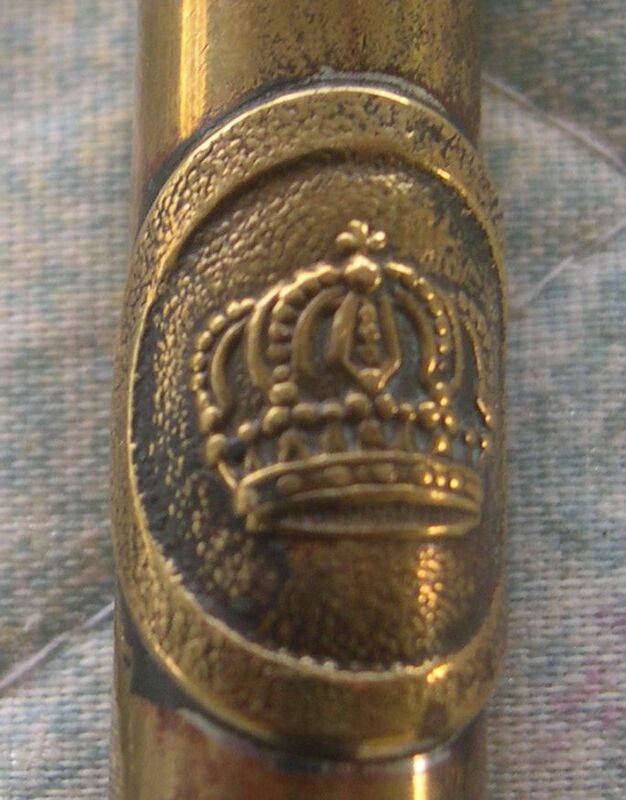 Soldered to the cartridge is a bronze metal depicting a royal crown. This piece of metal was taken from another source and then bent to fit on the cartridge. The solder joint is similar to the solder joint previously discussed. crowns from these countries, but not an exact image. This is a picture of the base of the cartridge. 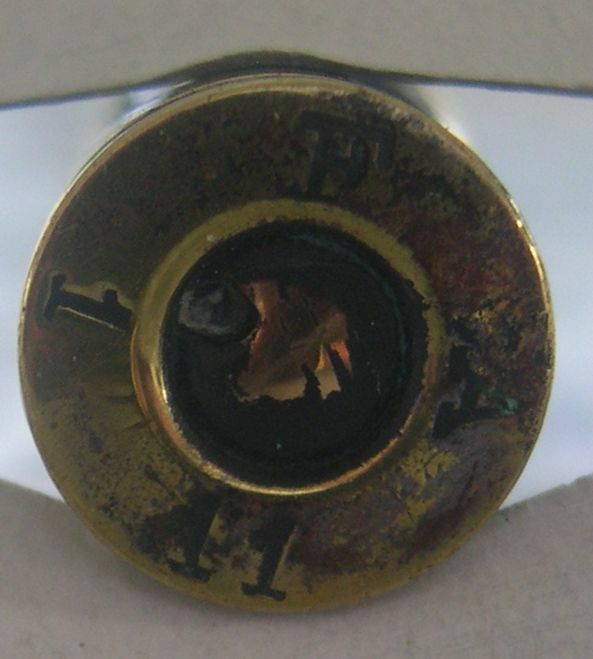 The numbers supposedly represent the caliber size and manufacturer. Mr. Corson, thank you for donating this spoon and your support.